Halloween is such a fun time to create fun things with your kids! 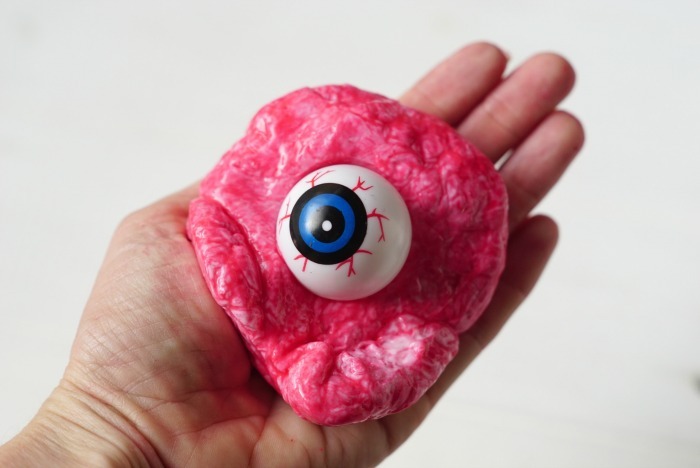 Since slime has been all the rage lately, this cool Halloween slime would be a great one for your kids to add to their collection! 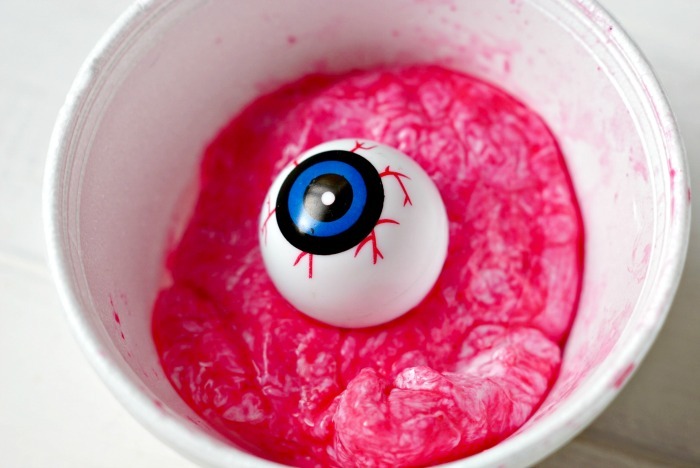 Recently we created this Halloween Bloody Slime with an eyeball. Okay, the eyeball is not technically real but the rest is and it not only looks cool but it’s fun to play with! When you add the red paint, it almost resembles blood. 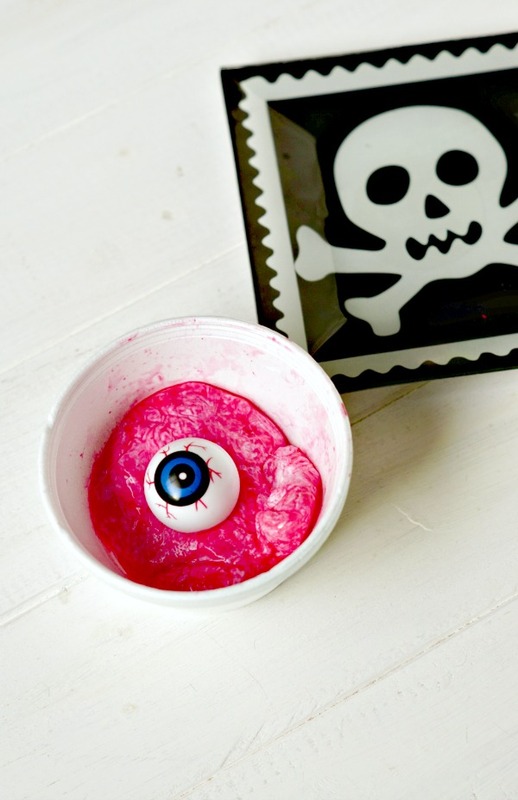 It may seem gross but to kids, this bloody slime is pretty cool. The slime is almost like a putty which means it shouldn’t run all over your carpet. In a bowl, mix the 1 cup of warm water and school glue until well blended. Slowly mix in the paint. In a separate bowl, mix together the borax and 1/3 cup of warm water. Pour the borax mixture into the paint mixture slowly until well blended. 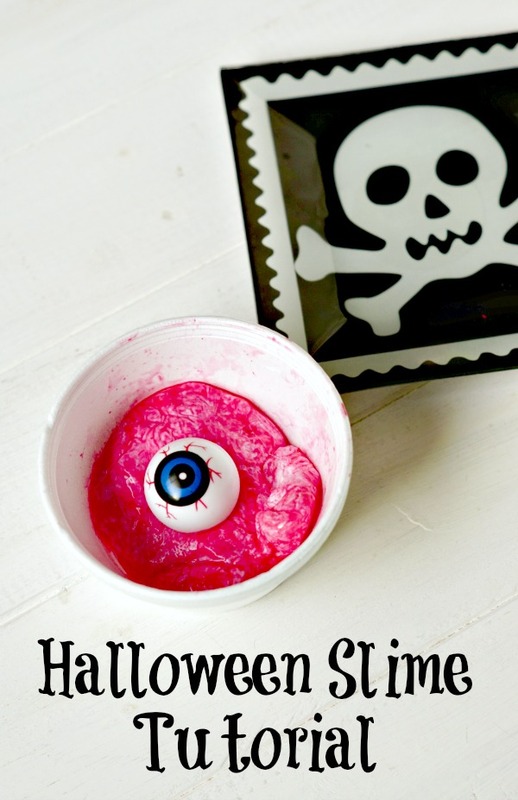 You could place the Halloween slime creations in small bowls for kids to play with at a party. You could also put them into small plastic containers and give them out as party favors! I love these ones that you can buy on Amazon! 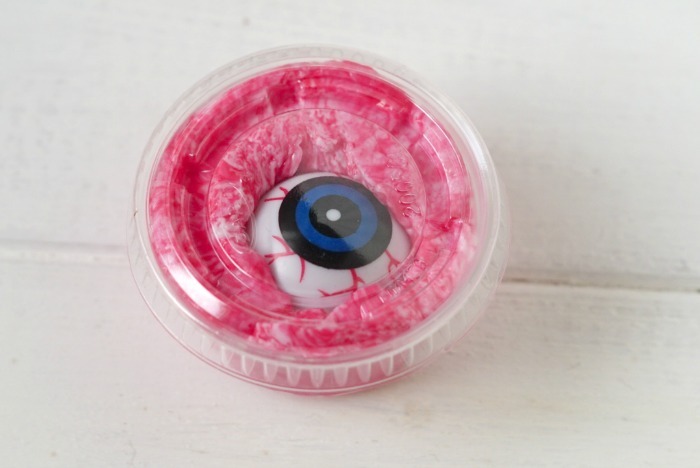 You can buy the plastic eyeballs on Amazon too . Have the kids wash their hands before and after using this.